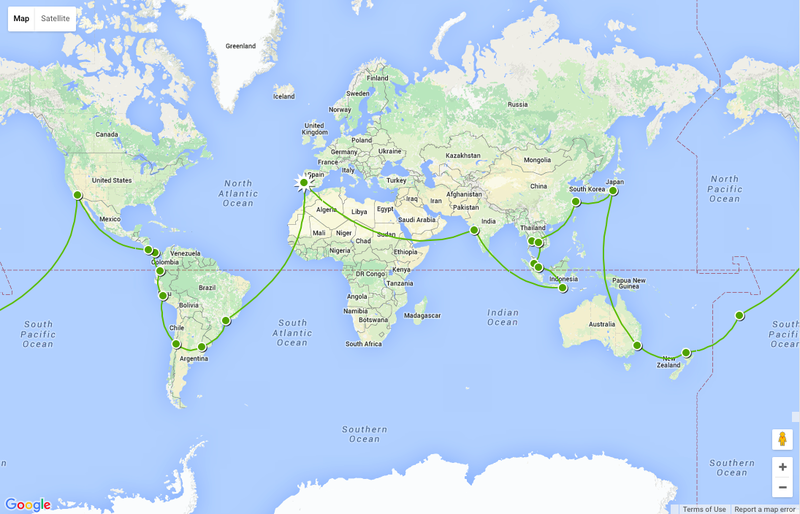 Our round the world trip will take around 160 days. Here’s our journey plan so far. We’re keeping it flexible, so any tips on places to visit will be most welcome! Thanks to travellerspoint.com for the awesome planning tool!